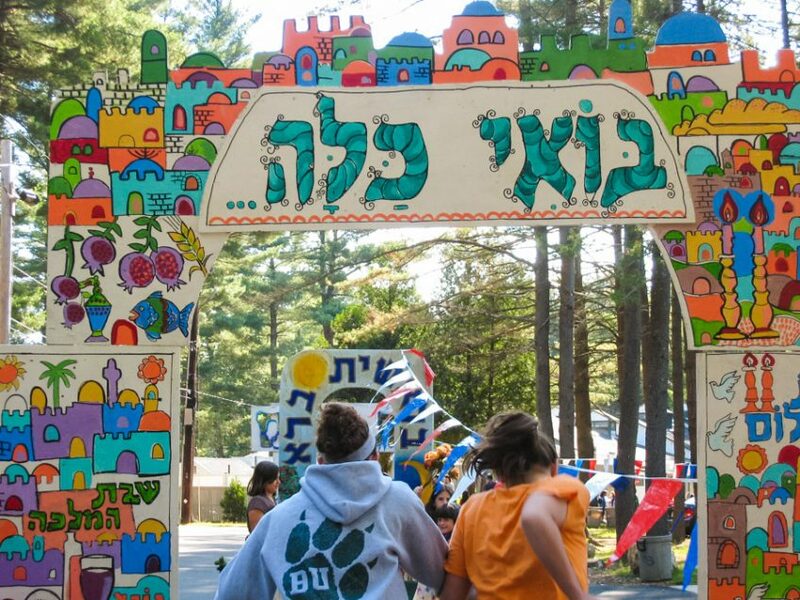 At Camp Ramah in New England, we bring Jewish living and learning alive in a vibrant and non-judgmental setting. We believe that age-appropriate spiritual challenge and fulfillment is a part of our mission. Our staff members are carefully selected to help serve as role models for the campers as we pursue the goal of creating a joyful Jewish community. Just as we are committed to the ritual elements of our Jewish faith, Camp Ramah in New England believes it is vital to pass on the values and ideals of our people. We strive to teach our campers to treat each other with dignity (avoiding gossip or any form of bullying), to respect the environment, and to be responsible members of the Ramah community. We teach these ideals through the prism of Jewish experience and texts. Our counselors provide extraordinary role-models who our campers can look up to. At Ramah, campers learn by doing; they experience Hebrew on the playing field, in the dining room, in plays, and in songs. They learn to appreciate the vibrancy and complexity of life in Israel through conversations with our Israeli staff, and they form powerful connections to Israel through the connections they form with our incredible Israeli staff-members. At Ramah, our campers learn to understand and connect with Jewish culture by living it every day. Our summer curriculum is comprehensive and designed for both supplemental school and day school students. Our campers are split almost exactly 50% between those who attend a Jewish day school and those who attend a public or private secular school. Our program is very intentionally designed to work for all of our campers, and there is never a divide at Ramah between day school students and others. Recognizing that children learn in a wide range of modalities, we incorporate a variety of creative learning techniques into our educational programs, including: songs, films, stories, crafts, and discussion. Our older campers are able to choose from a series of Judaic electives, including the option of participating in a more intensive Beit Midrash study program, learning Jewish texts with our scholar-in-residence or participating in an intensive Hebrew-language Ulpan program. Ramah is committed to nurturing the spirits and the minds of our campers. We hire professional educators to write curriculum, teach our classes, and infuse our program with teachable moments. 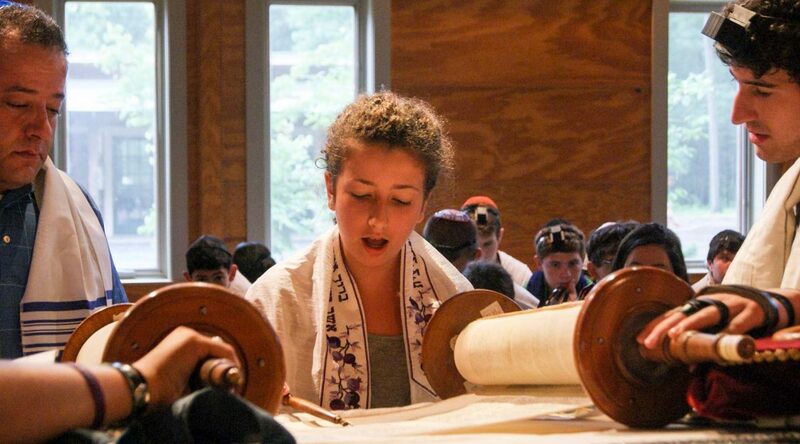 We challenge our campers to learn more, experience more, and actively pursue the richness of Jewish life. Please enjoy this video spotlighting our Tarbut Yisraelit (experiential Israeli education & Hebrew program)! Camp Ramah is committed to the notion that American Jewish young people need to be connected to the modern State of Israel. To that end, we bring over 50 Israeli staff members to camp every summer. These shlichim work in all areas of our program, and they help bring Israel, in all its contemporary vibrancy, contradiction and joy to Camp Ramah. There is an Israeli staff-member in almost every tzrif (bunk) at camp. Our Israeli staff members also help us plan and implement formal programs about Israel, focusing on people, politics, and culture. In addition, Israeli music resonates throughout camp, and every camper learns many contemporary Israeli songs along with more traditional Jewish music. In the summer before returning to camp as junior counselors, many of our campers attend Ramah Seminar, a six week trip to Israel with young people from Ramah camps across the country. Hebrew is an important part of Camp Ramah. Campers come to camp at all levels of Hebrew knowledge, and we work hard to assure that no one is ever left behind. Formal Hebrew instruction is part of the program, and as campers get older, they have the option of more intensive Hebrew learning. All public announcements are made in Hebrew, and our staff and campers are encouraged to use as much Hebrew as possible in their daily activities. On the ball field, a cry of hachta’ah! (strike!) might ring out, and when kids swim, they head to the agam (lake). Our goal is make Hebrew a living language for American Jewish kids, and we strive to insure that the language of the siddur (prayerbrook) and the language of the rechov (street) are equally important to our campers. 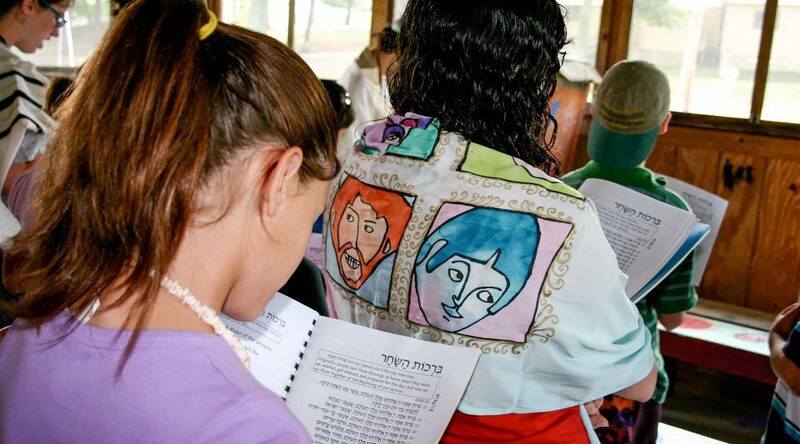 Click here to read about our Meah Milim (100 Words) program, a camp-wide initiative that focuses on the Meah Milim (100 words) that we only want to use b’ivrit (in Hebrew) at camp! New campers do not have to do anything to prepare or study before coming to Ramah. During a new camper’s first few days at camp, he/she will absorb a tremendous amount of new Hebrew words just by being at camp and participating in camp life. Our program is designed to ensure that campers absorb Hebrew without making it seem like a chore or like school. Every morning at Camp Ramah begins with shacharit (the morning service). These early moments of reflection and discussion help create an atmosphere of religious curiosity and excitement in our community. Our prayer services are molded to the different age groups and are always focused on making prayer relevant and meaningful for our campers. 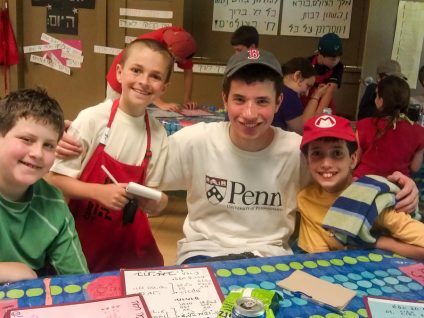 With the ongoing help of counselors and other staff, campers will leave Ramah with greater abilities for synagogue participation and leadership. On Friday afternoons, a quiet peace comes over the camp and then over 800 people gather together to welcome Shabbat through song and prayer. This is a particularly special experience, as it is one of the few times during the week that the entire camp gathers together. After services, we eat a Shabbat meal filled with food and friendship. As the meal winds down, we begin to sing, and the passionate songs of Shabbat fill our chadar ochel (dining hall) and reverberate around camp. At Ramah, campers enjoy a traditional Shabbat. They relax, talk, swim, spend time with friends, rest and play. Shabbat at Ramah has a magical intensity that can only come from an entire community engaged in the beauty of the day. When we ask campers why they keep coming back to camp, Shabbat is always one of the first things they mention. The ruach (spirit) of Shabbat is one of the most indelible memories of the Ramah experience.